So back in early December, Sadie posted a blog for our rough itinerary we had in mind here, as people were asking us for it. As we have gotten closer to our next border crossing later this week, we have been looking at our overall travel plan for the rest of the year. Whilst we have enjoyed the last 2 months in Nepal and Myanmar immensely, we now both want a bit of beach life that we are craving, and try to get slightly cooler temperatures from being nearer the sea. 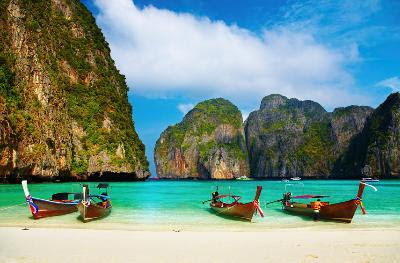 Obviously we wouldn't get that if we did North Thailand next as originally planned and it would have been at least May before we hit Vietnam and it's wonderful beaches. Also we have been looking at climates and temperatures of our itinerary a bit closer, and we definitely didn't want to be in Indonesia in typhoon season later in the year (Sep-Oct), and have also been trying to work a route around the wet seasons back on the mainland to avoid the worst of it. We would prefer to do the beaches and islands in the dryer season and go back to all the temples and other bits later on in the potential wetter months. June - Back over to the mainland for Vietnam/Cambodia/Laos/North Thailand but not decided an order as yet. We may extend Malaysia/Indonesia too and perhaps add on the Philippines so that will probably all change again anyway!